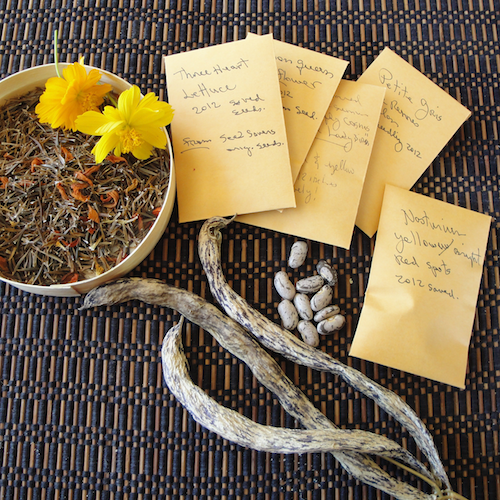 Recently I re-read the transcripts of speeches given by some of the keynote speakers from the 2013 Seed Savers Exchange Annual Conference. I admit to getting particularly misty-eyed by Dr. Gary Paul Nabhan's speech. It hit home how important it is to sow our seeds, save them, and pass them on to our family, friends, and neighbors, and to keep them safe for the next generation. As he explained, it's not some retro, quaint activity and a hanging on to the past, saving seeds is about the future. And beyond the seeds themselves it's about our connections to our culture and our links as a community, and to the earth. The loss of biodiversity of many types is a hot topic these days, and it certainly applies to seeds from our favorite edibles. As for me, I'm not willing to depend solely on seed companies as a source for the edibles I've come to love and count on and look forward to each season. And more urgently, our changing climate and other environmental pressures demand that we keep a pool of diverse food sources ready to meet changing growing conditions. We don't have to settle for less, and we do have the ability to shape our futures. Pumped with these energizing thoughts, I'm really excited that I'm finally going to make the trip out to Iowa this year for the Seed Savers Exchange 34th Annual Conference and Campout in Decorah, Iowa. The conference is July 18 to 20th, with a members only day on Friday. 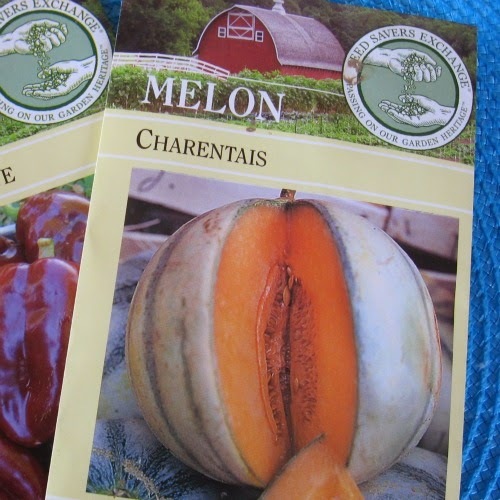 I can't wait to see the test gardens and the seed saving operations at Heritage Farm after reading about them for several years! Maybe the best part is that I'll be spending hours and days with my people: like minded gardeners, farmers, and dedicated seed conservationists. 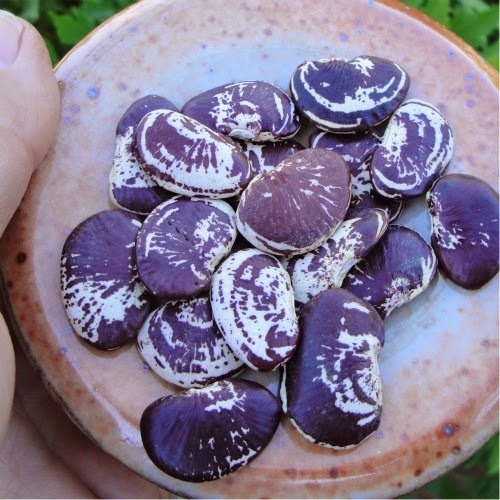 No chance of boring anyone with lengthy conversations about seeds and their stories, or the nuances of various bean varieties, or the ideal isolation distances for lettuce, etc. Check out this nice graphic from National Geographic. It's sobering and even frightening. It illustrates the findings from a study done in 1983 that found a 93% loss of crop varieties since 1903 (of 66 crop types). If you enjoy touring gardens or need clever ideas for your garden, then you don't want to miss this annual event! This is a critical fundraiser for my friends at Common Ground, a 501(c)3 nonprofit project of Ecology Action. Enjoy a memorable and educational day and show your support too! 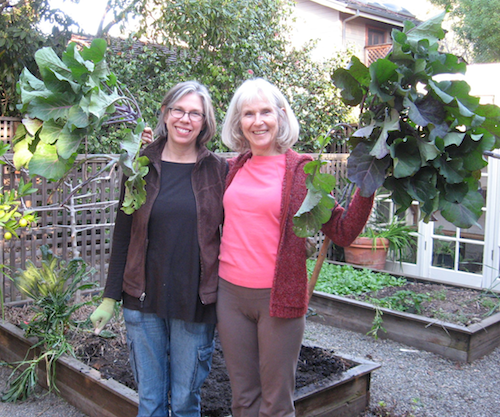 Besides visiting ten beautiful gardens all with an edible landscape theme, you'll also see how these suburban residents practice organic and sustainable methods. 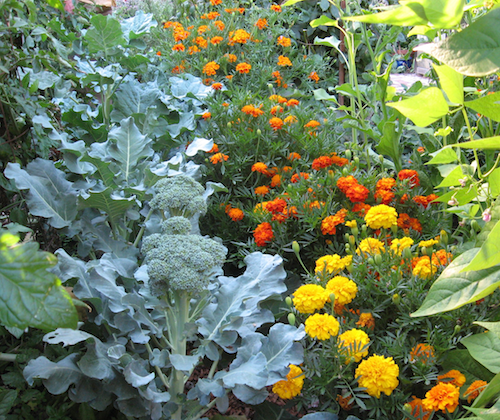 This year the Edible Landscaping Tour is featuring lots of front yard edible gardens. 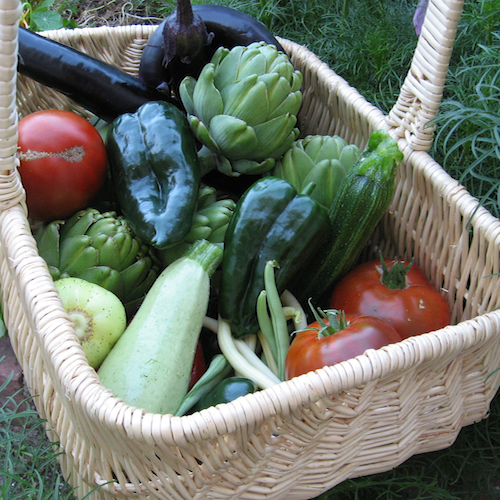 Gone are the days when vegetable gardens were considered inappropriate for the front yard. 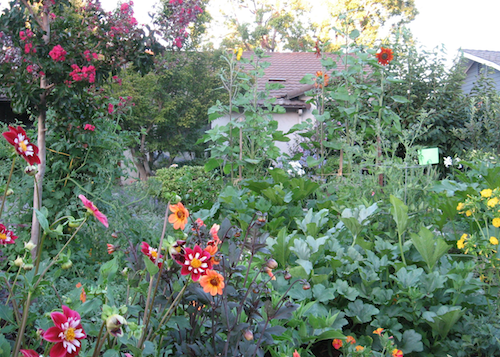 Come see a variety of gardens demonstrating that growing food is not just practical, but beautiful!